All Amish Structures is a family owned company with two locations. We have been building sheds and garages for over 50 years. We are known for our array of Amish outdoor furniture, including our popular sheds, and we are dedicated to producing the finest exterior structures that money can buy. The principle of our company is to make high quality sheds and garages and satisfy our customers. We are manufactures of quality sheds and garages, outdoor structures, lawn furniture, and playsets. We are committed to excellent service and outstanding quality delivered to you at an affordable price. We are happy to help you customize your shed, outdoor structure, lawn furniture, or playset to fit your needs. We have a beautiful showroom for you to see our extensive selections of sheds and outdoor furniture. We pride ourselves in the services we provide our customers and focus on providing each customer with unmatched quality and service. 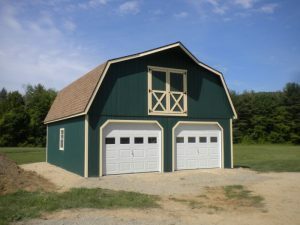 We are based in New Jersey and have been providing custom Amish built sheds and garages for over 50 years. We specialize in top quality structures that are built by 5 Amish families. We employ the finest selection of old world Amish craftsmanship available in New Jersey. All of our buildings are individually constructed and hand crafted for each and every order we get here at All Amish Structures. We are committed to excellent service and outstanding quality delivered to you at very affordable prices. We are happy to help you customize your shed, outdoor structure, garage or lawn furniture. Stop by one of our outdoor showrooms in PA OR NJ. Our sales team will love to help you out. Don’t wait. Call us today.